. Optical output from a source is measured in radians (B). 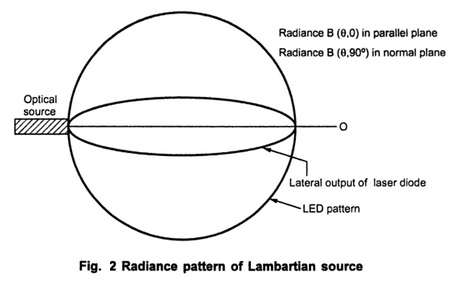 Radiance is defined as the optical power radiated into a solid angle per unit emitting surface area. Radiance is specified in Watts/cm2/Steradian. 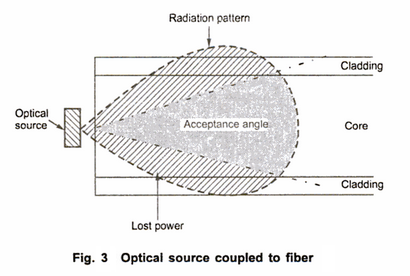 Radiance is important for defining source to fiber coupling efficiency.
. Spatial radiation pattern of source helps to determine the power accepting capability of fiber.
. Fig. 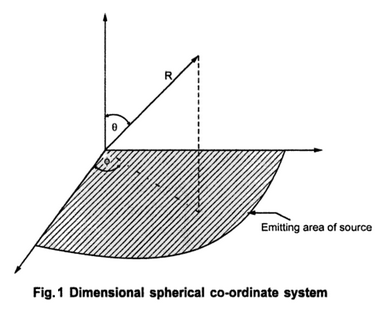 1 shows three dimensional spherical co-ordinate system for characterizing the emission pattern from an optical source. Where the polar axis is normal to the emitting surface and radiance is a function of θ and Φ.
B0 is the radiance along the normal to the radiating surface. 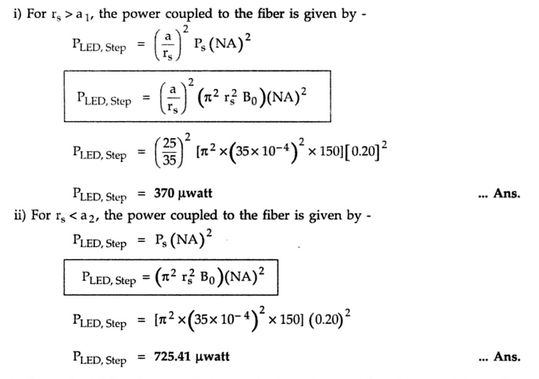 T and L are transverse and lateral power distribution coefficients.
. To calculate power coupling into the fiber, consider an optical source launched into the fiber as shown in Fig. 3. Where, As is area of source. Ωs is solid emission angle of source. The integral limits are area of source and solid acceptance angle (θ0max). 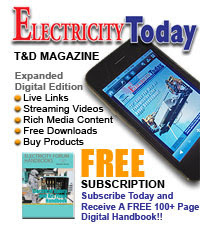 Here dθs rdr is incremental emitting area.
. Consider optical power Ps emitted from source area As into hemisphere (2πSr ).
. When source radius rs ≤ a, the fiber core radius, the LED output power is given from equation 5 .
n is the refractive index of medium. n1 is the refractive index of fiber core. 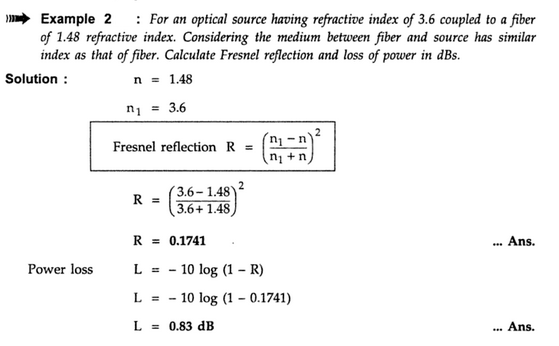 R is the Fresnel reflection of reflectivity.
. Optical power launched into fiber is dependent only on radiance (brightness) of source. It does not depends on the wavelength of the source.
. 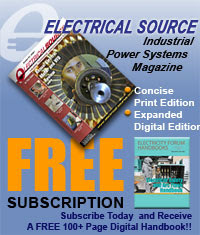 Considering the expressions for optical power coupled power into the fiber it can be concluded that the power coupled is mainly decided by – source radius, radiance, fiber and numerical aperture.